With search engine optimization now playing a more important role than ever in the world of gaining exposure via search engines and online sources, many are left with tons of questions. One of the recurring questions often asked is whether or not it is a good idea to purchase link space. There is no uniform answer, unfortunately, as it depends predominantly on the type of link in question, the amount of money being spent, the quality of the institution offering the deal and other factors as well. For those wanting to purchase links in order to gain exposure, please continue reading so you can sort through when to do so and when to walk away from the situation. We have all seen them: link directories that promise to help build backlinks for your website while giving your pages more authority by virtue of being a part of these link directories. In the olden days, link directories had purpose and were a great way for individuals to find particular types of content before search engines were able to use modern nuances to uncover every website. Nowadays, though, most link directories are nothing more than scams – and in fact, being featured on a link directory that sells its services while pinging online domains may result in select search engines downgrading your site’s rankings. Not all links are necessarily permanent; with online advertising, you can display links to your site, blog or social media hub without having to earn a placement in search engines. Some entrepreneurs will reach out to other webmasters who are offering advertising space on their websites. If the content is of a similar nature and the audience will be receptive to your message, then this is a strategy that is worth investing. Downsides to this approach are that the advertising in question will only be displayed on one website, and sometimes advertising in this format can be relatively costly. Similar to the above, advertising via affiliate networks or social media will result in either penetrating multiple mediums at once, or opening your advertising efforts to a much larger magnitude of web users. In the case of Facebook, for example, you can reach up to one billion people depending on how you decide to target your campaign. Non social media-related avenues such as what is available through Google will allow your website or project to be display on multiple sites and in various search engines. While this is a very cost-effective approach when compared to other methods, it will not result in any permanent link building advantage when it comes to pinging online presence. There are many elements to consider when weighing a purchase that involves your site’s links. 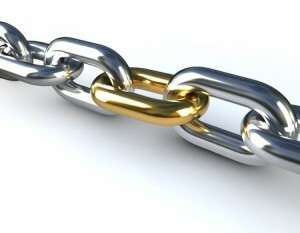 Broadly speaking, search engines frown upon those who are caught purchasing links outright in order to game the system, but advertising efforts and having a dedicated person who focuses on expanding the organic backlink process can have a much greater effect on traffic and exposure – two of the most important things to a website and the reason we do SEO in the first place. While buying links as a way to dramatically boost your rankings in the search engines is absolutely counterproductive (especially in Google catches you… and eventually they I almost always do), it should be noted that I’ve seen several cases where limited link purchases have worked such as buying one or two PR5+ links as a way of Boosting your webpage onto the first page in Google’s SERPs.